How to get to AtlantikSurf? How to get to our Surfschool? Actually, you can’t get to us, but we can pick you up!! We are a mobile surf school, but we operate from Puerto de la Cruz, in the north of the island. .
From here, we will start the journey to pick you up from your accommodation or other meeting point, to take you to the beach with the best conditions on the day. We also have established meeting points to pick you up whether you are staying in some other part of the island. You can find several offers in travel agencies, as they have availability of unsold places from tour operators, they are called “charter flights”. Bear in mind that flight prices vary daily and usually it is cheaper to fly during the week, avoiding weekends and bank holidays. Here you can find some search engines to compare prices : www.low-cost-airline-guide.com, www.edream.es, www.rumbo.es, www.lastminute.com, www.skyscanner.net. connect both airports (north and south) with Puerto de la Cruz. * Updated prices by January 2015. Bonobus can be bought at the official selling points, in every bus terminal, including Puerto de la Cruz and Santa Cruz. There are two bonobus of 15€ and 25€, and they are also valid for the tramline between Santa Cruz and La Laguna. It can be used several times for the same journey until there is no more credit in the bonobus. If there is not enough credit to cover one whole journey, the pending amount can be paid by cash, applying the discounted price of the bonobus. Other non-official selling points also have bonoobuses available, like tubillete.com office – a local travel agency located in the north airport (only bonobus of 15€, the office is open 7 am – 11 pm.) In the south airport, at the store Tienda La Alpispa you can buy both bonos (15€ or 25€, Tuesdays to Fridays 8 am – 8 pm, other days 10 am – 6 pm). 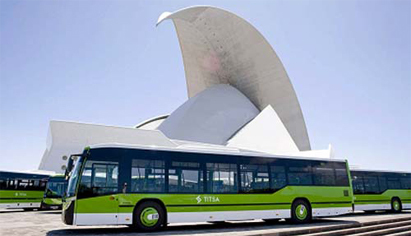 Here you can find all the information about prices and schedules of all buses operating in the island, and if you want more information, you can also visit the website of TITSA, the local bus company. Approximate price (always one way, same price regardless the direction of the journey) between Puerto de la Cruz and north airport is 30-35€; between Puerto de la Cruz and south aiport, the approximate price is 95-110€, depending of the time of the day and if it is bank holiday or not. You can find more information in www.puertodelacruzentaxi.com and www.officialtaxitenerife.com , where you can also make an advanced booking and pay for it beforehand. Renting a car will give you a lot of freedom to move around the island. The following links are search engines for economical rental companies that operate at aiports doyouspain.com, autospluscar.com,autoreisen.es If you only want to rent a car for a few days, there are some local companies with very attractive offers like www.autosram.com in Puerto de la Cruz Here you have the route to follow from North airport to Puerto de la Cruz and the route from South airport to Puerto de la Cruz.